Next week, the United States Mint has scheduled the 50th Anniversary Kennedy Half-Dollar Uncirculated Coin Set for release. This set is likely to be extremely popular with collectors. The set will go on sale beginning at Noon (Eastern) on Thursday, July 24, 2014. Pricing is listed as $9.95. Included as part of the release are two uncirculated quality 2014 Kennedy Half-Dollar Coins. One is from the United States Mint facility in Philadelphia and the other is from the United States Mint facility in Denver. 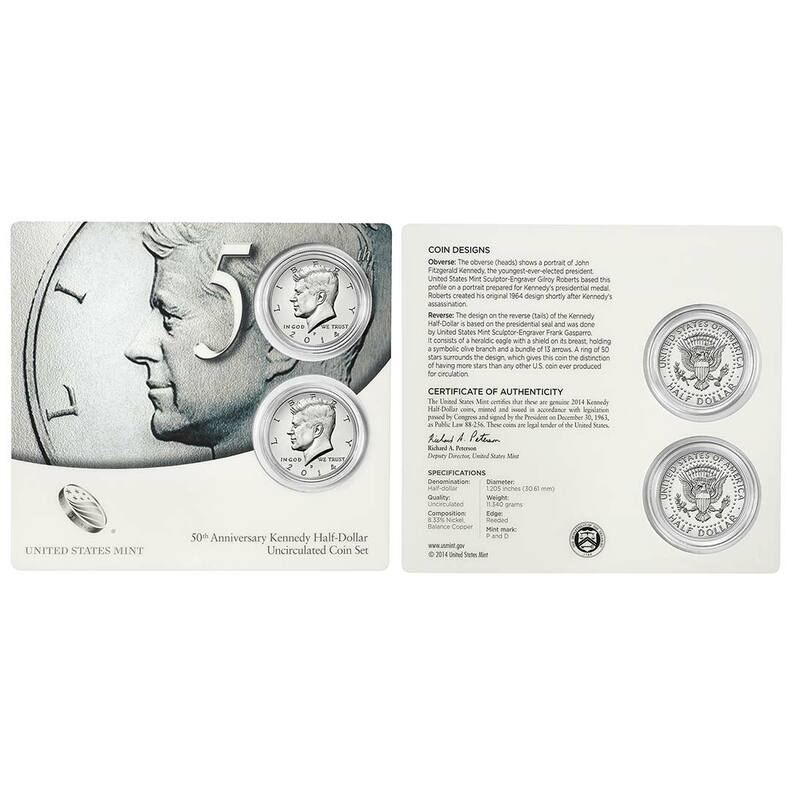 Each features the original 1964 Kennedy half-dollar coin obverse design of John F. Kennedy by former United States Mint Sculptor-Engraver Gilroy Roberts but is inscribed with the year 2014. The reverse includes United States Mint Sculptor-Engraver Frank Gasparro's rendition of the Presidential Seal. Both coins are encapsulated and attached to a display card which is housed in a presentation folder. The packaging allows for viewing of both the obverse and reverse of the coins. 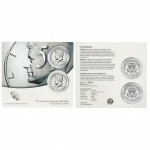 Descriptions of the included strikes are printed on the packaging along with a Certificate of Authenticity, coin specifications, and the official Department of the Treasury seal. 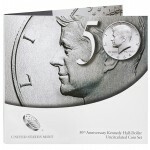 As mentioned, the 50th Anniversary Kennedy Half-Dollar Uncirculated Coin Set goes on sale on July 24th for $9.95. A household order limit of five applies with no mintage or product limit in place. Orders will be accepted at the US Mint website of www.usmint.gov or by calling 1-800-USA-MINT (872-6468).